In the central train station of Vienna, the Austrian capital, there is a WiFi service provided especially for the refugees who pass through there. It proclaims, simply and clearly: “You are safe”. Multiple refugee help organisations exist in Austria, many of which have only recently been grounded in response to the refugee crisis after it reached its peak this summer. There is a strong sense of solidarity with those who come to Austria fleeing war and persecution, as is more than clearly shown by the teams of volunteers helping refugees, the wealth of donations that support organisations receive, and the high attendance of refugee solidarity and anti-fascist demonstrations. However, there is also a growing movement against the mass influx of refugees to Austria and the rest of Europe seen this year. Nationalist protests in support of border closures and the prevention of ‘asylum abuse’ are as frequent as solidarity and anti-border protests. Meanwhile, the Austrian government has put up barbed wire on the Austrian-Slovenian border and stricter asylum legislation is to be put forward in December to emphasise that, in Austrian Chancellor Werner Faymann’s words, “asylum is specifically temporary” – while at the same time it is having to fulfil its EU-bound duty to accept certain numbers of refugees and asylum seekers. Austria, straddling east and west through its unique geographical and socio-political position in Europe, is definitely at the heart of the crisis. Austrian popular opinion on the refugee crisis is also straddling two sides, polarised between support and restriction of refugees and open borders. And all while these debates go on, refugees arrive in their thousands, with 58,000 reported to have crossed the border from Slovenia in one week (20-26 October) according to Der Standard. The Student went to Vienna’s central train station to see the work of Train of Hope, one of the main voluntary organisations assisting these refugees upon arrival with anything from clothes to shelter to help finding missing family members. If you go down the stairs at the far end of platform 12, you can find an operation the size of a small village equipped with everything from offices to storage containers, to charging facilities to a crèche. Volunteers work around the clock to provide free meals, sort donations, give out clothing, search for missing persons, housing, translation and interpreting services, hygiene facilities, and general support to incoming refugees. 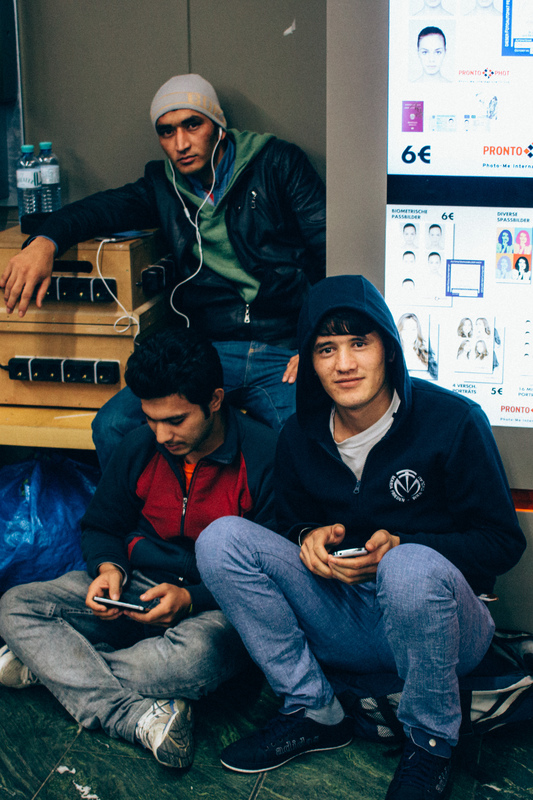 Refugees at Train of Hope using the charging facilities and browsing on their mobile phones. 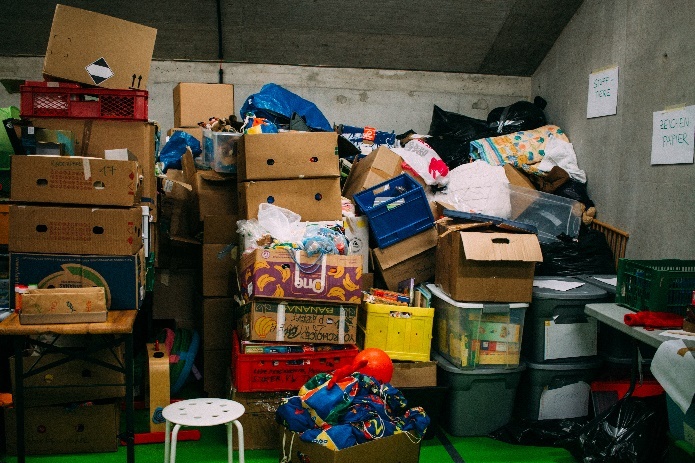 Boxes of donations specifically for children, including clothes, toys and crafts materials, in a Train of Hope storage room. 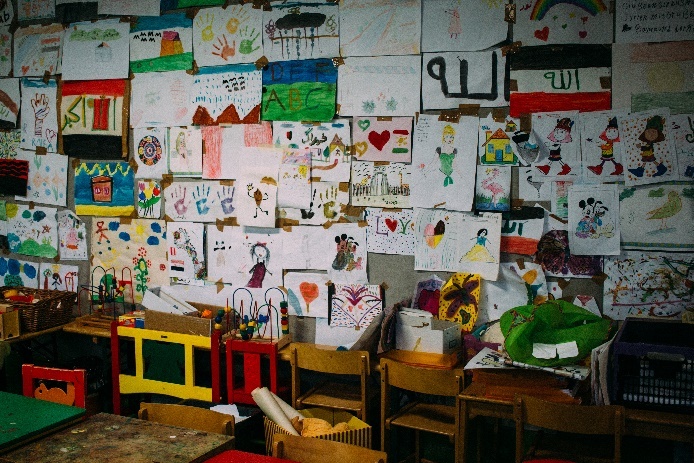 Children’s drawings on the walls of the Train of Hope crèche. This is the sentiment encapsulated not only by the atmosphere at Train of Hope but also by the 70,000-strong turnout at the Refugees Welcome demonstration at the start of October and the high turnout at countless other demonstrations throughout summer this year. Yet as the Austrian government struggles to process the number of refugees and asylum seekers coming in, turning to fences with the reported aim of controlling the flow of arrivals according to Faymann, and Minister of the Interior Johanna Mikl-Leitner who spoke about the need for a ‘Fortress Europe’, it is unclear how welcome refugees actually are. Protesters at the ‘Keep the borders open! No to fences, walls and Fortress Europe’ demonstration, 14th November 2015, holding placards including ‘Not in my name!’ and ‘Solidarity knows no borders’. In such cases, it is anti-fascist and radical left-wing organisations who come to the fore. Seeing political protest as another form of solidarity with refugees, regular demonstrations and counter-demonstrations regularly bring people together to oppose government regulations and right-wing groups, condemning border restrictions and what they see as racist and xenophobic rhetoric: “It is important for us to oppose [anti-refugee and right-wing opinions and groups], to intervene, and to try and stop this […] especially because it sometimes has the effect that Austrian politics drifts towards the right”, Thomas, an organising member of an anti-fascist group known as autonome antifa wien (autonomous antifa vienna), explained to The Student. 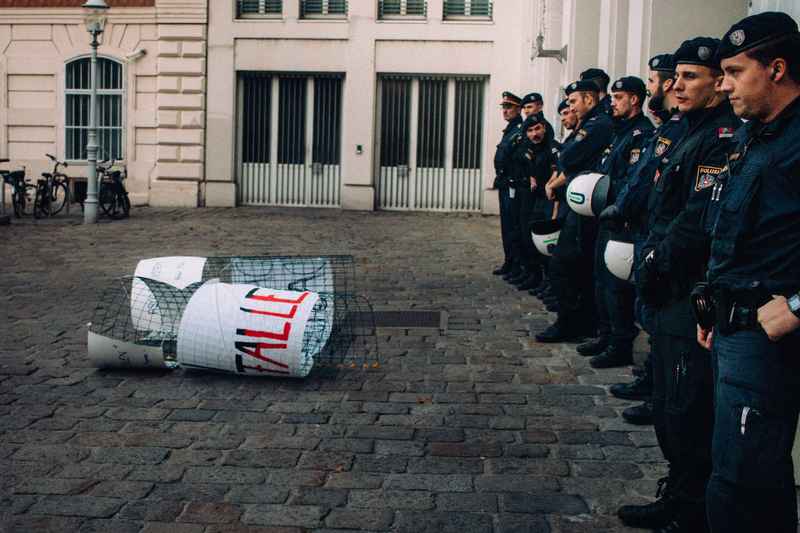 Protestors leave the banner in front of the Ministry of the Interior as a symbolic act. 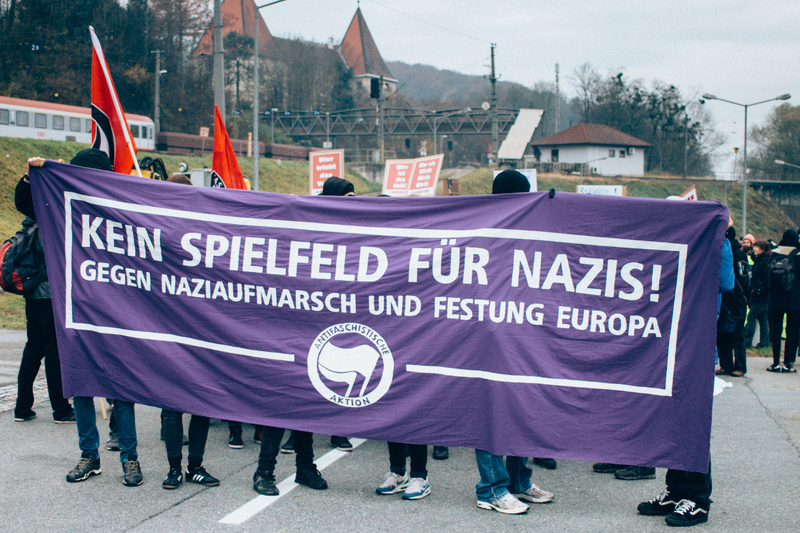 One instance of anti-fascist and radical left-wing organisations directly fighting against extreme right-wing demonstrations and actions recently took place in and around Spielfeld, a town close to the Slovenian border in Steiermark, an Austrian Burgenland (state) known for its right-wing population. The Student accompanied anti-fascist protestors attempting to block the potential routes of a demonstration organised by Identitäre Bewegung Österreich (Identitarian Movement Austria), a youth-led nationalist organisation, who aimed to march through Spielfeld to the Slovenian border to protest the ‘invasion’ of refugees into Austria. 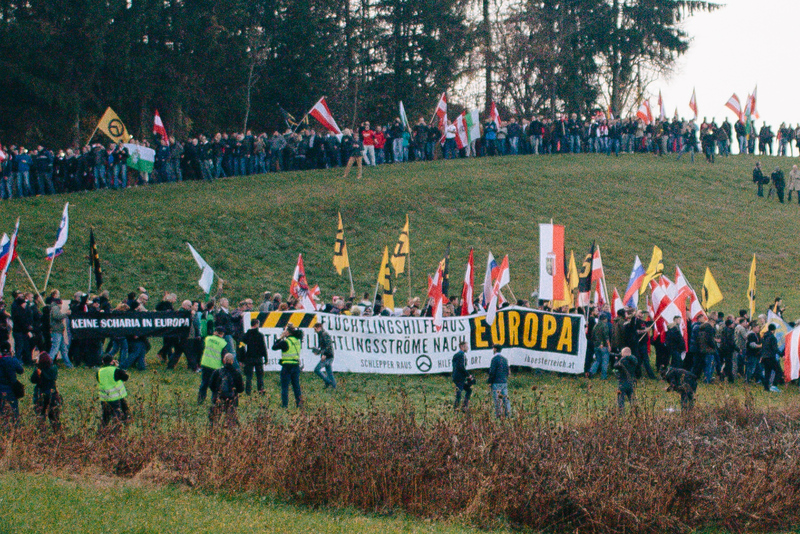 A small demonstration was followed by the anti-fascist protestors splitting up and going through forests and vineyards in order to evade police and form a blockade before the Identitarian march could pass. The group successfully blocked two roads at first, although the Austrian police later allowed the march to continue past them. Anti-fascist protestors holding a banner stating, ‘No Spielfeld for Nazis! 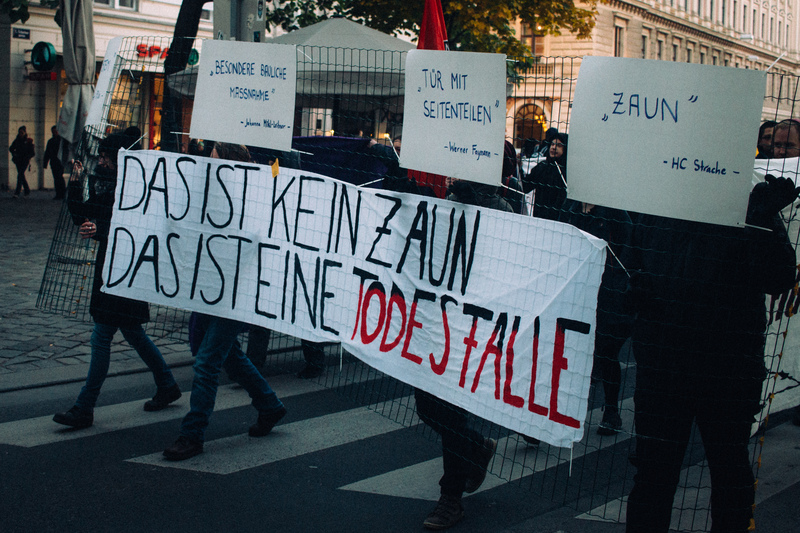 Against Nazi demonstrations and Fortress Europe’, 15th November 2015. Identitarian marchers continuing their march past a road blockade (not pictured). Two protestors from Vienna, Melina and José, spoke to The Student about why they were there. José, originally from Spain, said he was there to protest the “nonsense politics in Europe”. He said: “We bomb and do the interventions in [refugees’] countries because [of] their terror [sic] and the problems they have. They come here to escape from their land but [the government] want to push them away.” Melina, who is originally from Greece, explained, “I’m here also to show solidarity with the refugees and to raise awareness about the refugee crisis and to change the dominant opinion of the public.” Melina said she saw solidarity with refugees coming from a small fraction of the Austrian population, while the larger fraction still mostly exhibited “fear and conservatism”, citing the popularity of Austria’s far-right party, Freiheitliche Partei Österreich (FPÖ, Freedom Party Austria). Reflecting the rightward drift of Austrian public opinion, the FPÖ won over 30 per cent of the vote in Vienna’s local elections in October, the first such elections since the peak of the refugee crisis, and were only narrowly beaten by the centre-left Sozialdemokratische Partei Österreichs (SPÖ, Social Democratic Party of Austria). Talking about what might change the direction of public opinion, Melina said that she saw grassroots media and altering the ‘extremely biased’ media as the solution. 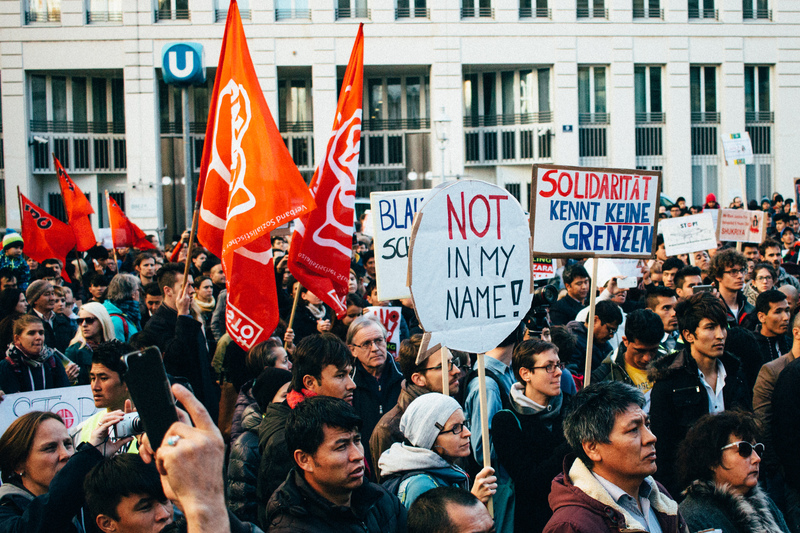 While the political left are fighting against a right-wing narrative, the political right do not view the government’s actions as right enough, condemning what they call ‘asylum abuse’ and holding protests calling for Chancellor Faymann to resign from office despite his emphasis on the temporary nature of asylum. The Student had the chance to attend one such protest, which involved chants ranging from ‘Faymann out!’ to ‘We are the people!’ and the condemnation of anti-fascist protests, who were staging a counter demonstration on the other side of a police barricade, as the ‘real fascists’. 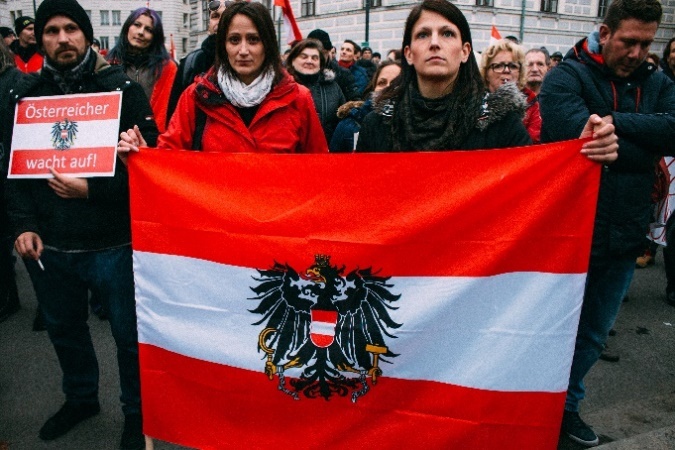 Two women hold up the Austrian flag and a man holds a placard stating, ‘Austrians – wake up!’ at the ‘Stop asylum abuse’ protest. 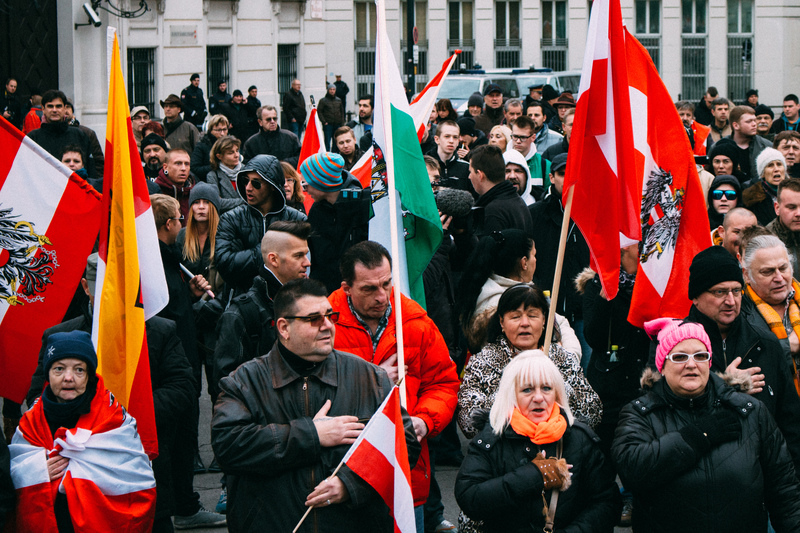 Austrians on the right do not see themselves as anti-refugee but rather refugee-sceptical. One protestor, Michael, told The Student that he viewed the entire development of the refugee crisis very critically, particularly in the context of the recent terrorist attacks in Paris, which he believed to have in part been caused by the ‘undifferentiated admittance’ of refugees into the European Union. Michael said: “We have to control the borders… We need to secure the outer borders of the EU”, and although he saw border fences as unnecessary, he stated: “That [the refugees] can just wander from country to country leads to chaos”. When asked about the anti-fascist protestors on the other side of the barricade, Michael called them the “real Nazis” because they were trying to suppress right-wing opinion. However, another protester, who preferred to remain anonymous, saw the anti-fascist protestors in a different light. He stated: “I accept other opinions. Those people over there have another opinion which I don’t understand, but good. Austria allows freedom of speech for everyone, I accept the opinion of everyone, you can talk about it in peace without any kind of aggression.” He also told The Student that he was not against accepting those who really need asylum into Austria, but he was against ‘asylum abuse’, arguing that, “80-90 per cent people are only misusing asylum, they don’t come from Syria but they come from other countries where there is no war, and they lie and come to us and actually just exploit the asylum system.” To him, the solution is to differentiate between “real refugees” and economic migrants, finding it strange that refugees were also able to go from country to country until they reached their end goal rather than being pleased with anywhere they landed in an act he called “refugee tourism”. While such polarised opinions exist amongst the Austrian population it can be hard to see how those on either side can be reconciled. It is also hard to see how Austria can find a solution to deal with the overwhelming influx of refugees and asylum seekers it is receiving – especially as countries like Hungary and Croatia close down their borders and enact harsher policies which drive refugees westwards – while also managing to please both the left and the right. Yet the refugees themselves are not as interested in the political side of this debate – people at Train of Hope were not intimately acquainted with Austrian and European border politics, they were simply grateful to be safe and to be welcomed, at least by some. Should letting agencies in Edinburgh be treating student tenants better? What does Trump’s wall mean for the right to life?